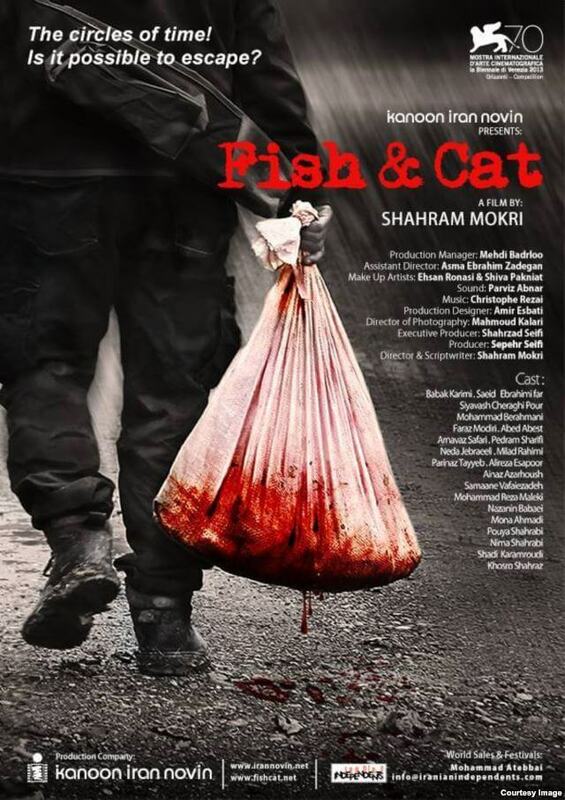 Fay Al-Janabi goes behind-the-scenes at the Sydney Film Festival and talks to filmmaker Shahram Mokri about his slasher film, Fish & Cat. A pregnant woman in a headscarf is standing on the outskirts of a forest with bright red Beats headphones hanging around her neck. She’s having an emotional confrontation with an ex-lover, and she turns away with tears in her eyes only to turn back and snap a photo of him with her iPad, for his Facebook profile. An older Iranian gentleman approaches a young female listening to her iPod in the middle of the forest by the trunk of a tree. He joins her and they listen to music together, sharing the earphones and talking. He tells her that he likes to brush his teeth before reading a new book. A middle-aged woman interviews a young college student about a messenger who performs miracles in her life and is in love with her. 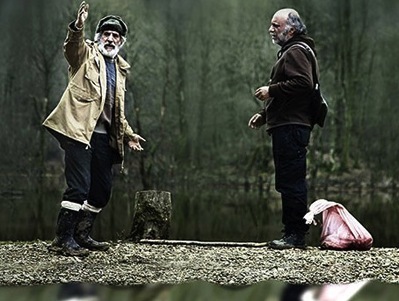 Multiple stories unfold on the screen in one-take during Shahram Mokri’s Fish & Cat, an Iranian feature film, which premiered on Thursday at the Sydney Film Festival. The film has been described by film critics as a slasher, although it’s clear that it carries none of the usual elements of a slasher film; there is no murder scene, no blood, no weapons, just a lingering feeling that something is wrong and a very eerie soundtrack. “In a one take movie you expect the story to go forward and the time to go forward. But, in this movie, it’s not like that. It goes in a circle. And you go forward, you have flashbacks, all in the same one-take. That’s why it’s a different approach to the meaning of time”, adds Mokri. However, besides the one-take shot, which is an impressive feat to have accomplished, it’s unclear what else the film was trying to convey about time. Fish & Cat takes place at a campsite near the Caspian Sea, where a group of college students have gathered to camp for an annual kite festival. Nearby, a restaurant is serving food containing human meat. The film follows several interactions between the students and the strange, older gentlemen who stir up a sense of unsettling suspense. Besides the single shot intertwining these conversations, there is nothing connecting the stories that unfold in Fish & Cat. The viewer gets lost behind the gaze of the camera as it trails behind characters, walking between the forest and the lake, interacting in seemingly meaningless snippets of conversation with one another. When you think it may all come together, it doesn’t, and at the film’s end the viewer is left wondering what really went on, and what was the point? “This is a film about the Iranian youth generation”, says Mokri. However, there was very little he had to say about the younger people of Iran in the film. The viewer follows the young campers as they search for their kite lamps, have bizarre encounters with the above mentioned mysterious pregnant woman, and intricate conversations discussing the model of their kites. The film has its moments, as with the iPad and mentions of Facebook, the desire of the youths to get mobile phone reception, but these topics are brushed upon and tell nothing new about the youth generation. When asked what he specifically wanted to convey about the youth, Mokri mentions “In this movie there are two different generations next to each other, or opposing each other. One is the younger generation, a group of students. The other is three cooks from the previous, or older, generation. So, the older generation feels like the younger generation is there, in that location, which is a lake or woods, and they consider them as a threat to themselves, and they’re looking for ways to oppose them, to confront them, or to correct them”. The metaphor he uses in the film to express conflict between the generations, that of murderous restaurant owners against innocent college campers, is quite vague and, in all honestly, useless in providing any social commentary. The film would have been advantaged had he focused on the creepy storyline and slasher genre rather than attempting to inject the film with false, purposeless commentaries on time and youths.